Everybody loves to travel or go on vacations. Who doesnt need a break from the monotonous routine of their life? This desire propels us to faraway places where we can sit and sip martini or groove to the rhythmic beats of music, in a luxurious and languid setting. 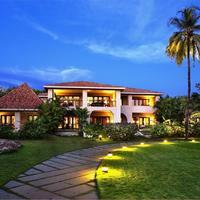 A luxurious hotel is just what you need to complete your Goa travel dairy. 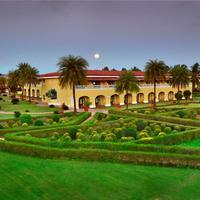 A beautiful experience will enhance your desire to come back more often to rejuvenate yourself. 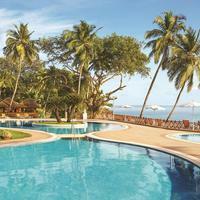 There is no other place in India quite like Goa, as it offers much more than mere trance parties and scintillating beaches. 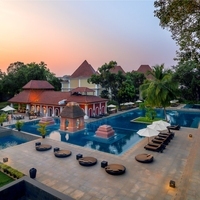 Goa is a lovely destination, irrespective of the accommodation you stay at, but the leisurely ambience and pampering of 5-star hotels can enhance that experience by indulging and pampering your senses. 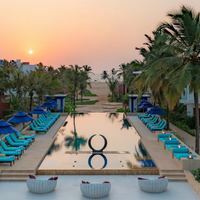 Goa, being the most sought-after tourist destinations, has a number of 5-star hotels, which can help you unwind and rejuvenate, leaving you wanting more. 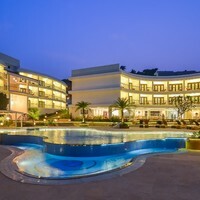 The sun-kissed golden beaches, fun markets, the magnificent churches, and Portuguese architecture feels more welcoming with a stay in these alluring hotels which are pledged towards making your stay comfortable and relaxing. 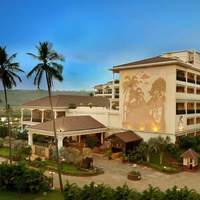 Its not that a stroll around Goa cannot be enjoyed by staying at budget or economical hotels, but then its only the leisurely ambience and pampering of the 5 star hotels in Goa that stand to elate your wandering soul with utmost indulgence. 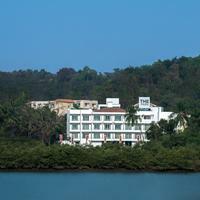 Popula, high-end 5-star Goa hotels provide you with the most prioritized hospitality, much beyond what you may have fathomed. 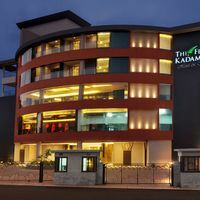 These hotels have a calm and comfortable environment, topped with fantastic services and world-class amenities to provide you with your dream vacation. 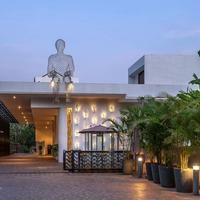 Just stepping into these hotels makes you feel as if you have walked into a different world. Right from the lobby to the rooms and from the meals to the care of the staff, each service is personalised and makes you feel special. 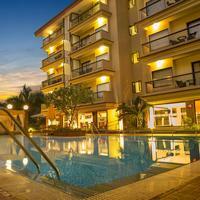 The warm hospitality and silent efficiency are the added factors which make your visit exceptional. You name it, and the staff will make sure you have it. After exploring the outdoors and returning tired and jaded, what more could one ask for than a relaxing spa or a masseur, a comforting in-stay and delicious, gourmet food? 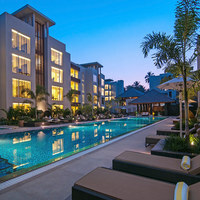 Top 5-star hotels in Goa have facilities extending from lush rooms, fancy bathrooms, swimming pools, delicious meals, gym, valet parking, and airport and within city transfers, 24-hour room service, coffee lounges, discos, multi-cuisine restaurant, bar and much more. 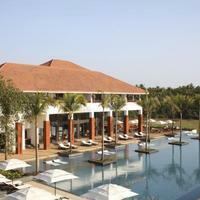 They can also help arrange guided tours, which you may not find in budget or standard hotels in Goa. 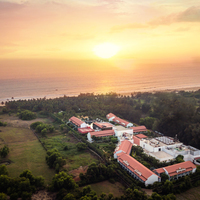 The desire to journey around the world will change destinations, but the memories created in Goa, especially when you stay at a 5-star hotel will never fade away. 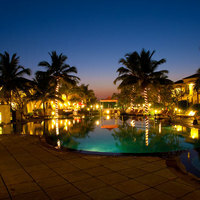 Goa being the Pearl of the Orient has a massive inflow of tourists in all seasons and just so that you do not miss out on a chance to live your dream, it is essential that you reserve your desired hotel in Goa, as soon as possible. 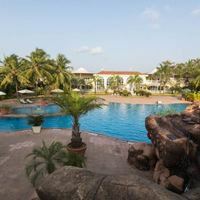 Once your trip is scheduled, go through the various hotels listed online; Check out their availability, their booking prices, facilities offered and the location and try to grab a cheap deal on the hotels of your choice with Cleartrip. 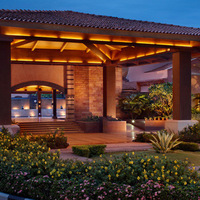 We have listed some lovely 5-star properties, such as The Radisson Blue Resort or Goa Marriott Resort & Spa , and many more. 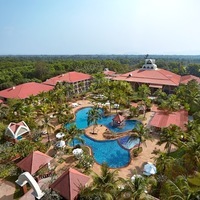 Depending on your criterion such as whether you want a beach side hotel or maybe something that is more secluded and romantic, there are several alluring 5-star hotels in Goa to fulfill your requirements such as The Park Calangute , Club Mahindra Varca Beach Resort , or The Crown. 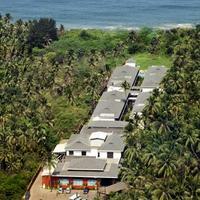 Check them right away and do your bookings!